The judges overseeing litigation on Texas redistricting haven't done anything public for two years. The lawyers who sued the state over its political maps are trying to get the judges to chirp or get off the perch. Whether they meant to or not, the three federal judges overseeing the state’s redistricting litigation have already decided the maps are legal enough for three general elections. But they have never finally resolved all of the challenges initially made to Texas’ political maps back in May 2011, when lawyers who believe the maps are discriminatory and unfair went to court seeking a remedy. That’s what the courts are for, after all — to protect one party from harming another party. Or maybe that’s to protect one political party from harming another political party. The three-judge panel in charge of the case appears to be stuck; they have not acted since a hearing in 2014. And now that another election has passed, those lawyers ended 2016 with a new plea, asking the judges to wrap up their work by mid-month. In their filing last week, the lawyers wrote that they hope to get a ruling in time to finish this court fight before another federal census is done and another set of maps has been drawn by a Legislature that might have been elected using unfair political lines. Without saying outright that the court has been working the clock, the groups suing the state are saying that the court has been working the clock. It’s impossible to know what the judges are doing, or what they think they are doing. It is possible, however, to see the effects of their inaction. Given the job description of a federal judge and the length of time since the panel’s last action, it is fair to assume that these three — Orlando Garcia and Xavier Rodriguez of San Antonio and Jerry Smith of Houston — are getting their desired results or that they aren’t very good at their work. 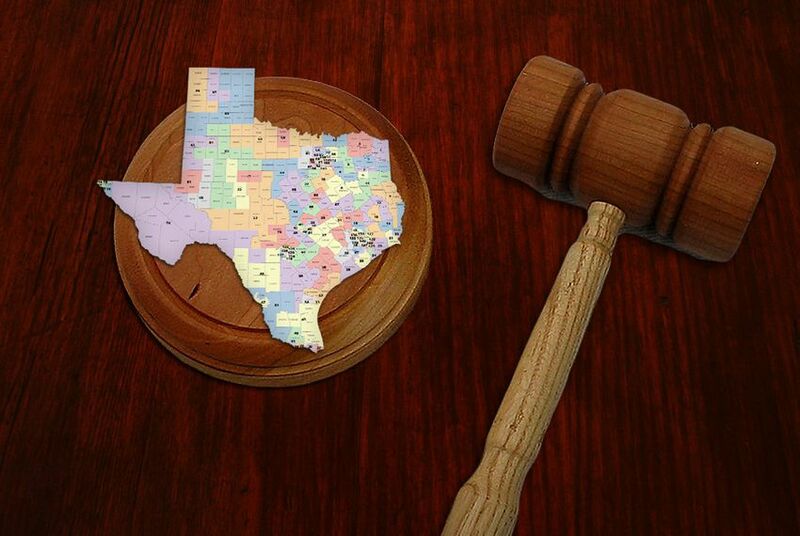 If the maps in place are cheating any Texas voters of their rights, the judges have made a mess. And if these are fair maps, then the judges ought to just sign what they’ve got in place and call it a day. Or a year. Or, come to think of it, several years. Like it or not, the process has been far too slow to be reasonable. The next census is just two election cycles away. Three elections have been conducted under interim maps touched by the federal judges. The winners of those elections have already passed more than 2,700 bills into state law and are busily filing thousands more for the legislative session that starts next week. New maps won’t change any of that. Whether it’s an acceptable form of justice is a matter of taste; it’s justice if you like the result. Republicans running statewide in Texas in November won an average of 54.4 percent of the votes. If you toss out third-party votes, Republicans won enough to get 86 seats in the Texas House, where they actually have 95; 18 seats in the Senate, where they have 20; and 21 seats in Congress, where they have 25. By the numbers, the maps have expanded an already existing GOP advantage. That’s a helluva mistake if the political lines are unfair. And not signing off on the lines if they are fair casts an unfair shadow on the work of the winners of the 2012, 2014 and 2016 elections for the Texas House, Senate and Congress. These maps, or maps that replace them, will be used to elect the legislators who draw a new set of maps after the 2020 Census — a population count that could increase the size of the state’s congressional delegation by three seats. The judicial rulings in the present redistricting case could determine whether the state is presumed to be discriminating or not in its election laws — a determination that will guide the hands of those future mapmakers. The mood of the day seems to be that government sometimes doesn’t work very well. There’s a fine example of that underway in the federal courts in Texas. Some Texas lawmakers were in a hurry to require transgender Texans to use the restrooms that match the genders listed on their birth certificates. But the policy and politics are complicated enough to prompt the governor to tap the brakes. Rick Perry has become the unsinkable Molly Brown of Texas politics — seemingly at the end of his career time after time, and now on his way to the biggest government job of his career. Rising property values in Texas should have lowered school property tax rates. But they didn't, and you can thank the folks who write the state budget for that.